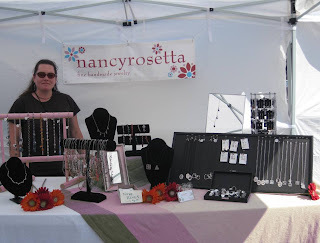 On July 12, just one day after the Boston Handmade Somerville Marketplace, I was at the South End Open Market. I had done this show twice before, both times with BH. The first was the October show last year, and the second was this June. July 12th was different. I was alone. Even though I was alone, there was enough BH at the show to make me feel at home. I had Marla of SeaGlass Things across the aisle and two booths down from me, very comforting to have her in my sights at all times. I had Chroma Lab almost directly across from me in the next row over. 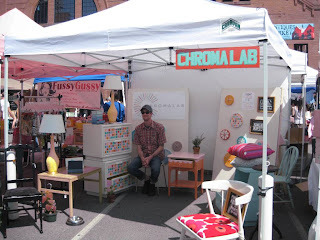 Tony from Chroma Lab manning the booth. Alicia from Chroma Lab was helping her neighbor Fussy Gussy, when I got the opportunity to take some pics. I love this booth! 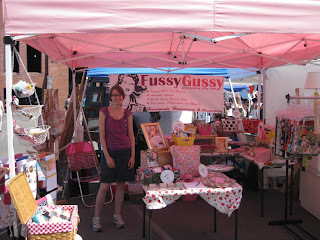 Betsy of Stonehouse Studio was there, too. I had to look for her as she was not so close to my booth, but there she was! 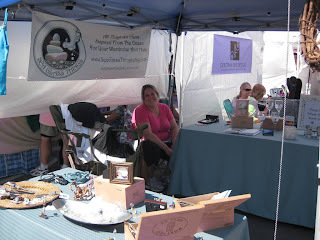 I thoroughly enjoyed the day, especially later on when my hubby and friends arrived so that I could walk around and check out the other vendors (and take the pictures). 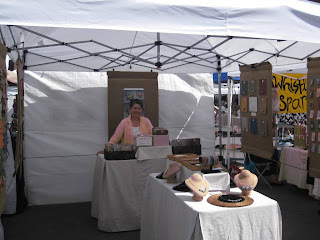 My friend Suzanne took this one of me in my booth. 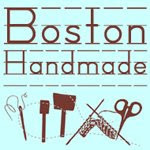 I have 4 more SoWa dates this summer before the next Boston Handmade show on October 18th. I am really looking forward to them all. Awesome! Thanks for the run down, and great photos!! Yay! 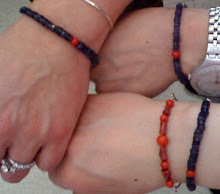 See now I was able to connect to your blog too :) Great to see these pics of everyone.